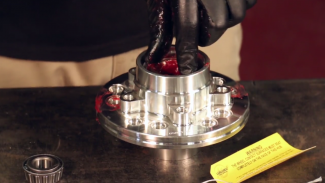 The final step in most brake projects on your classic car requires bleeding any air out of the brake system. 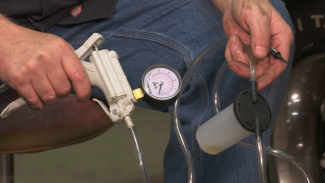 Mark Simpson demonstrates three common ways to bleed your brake system, including the gravity method, vacuum bleeding and the pedal technique. 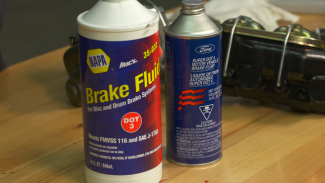 You’ll discover both the proper techniques on bleeding brakes and some helpful tips. 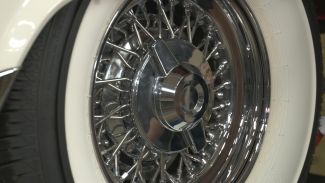 Most classic car owners agree that keeping white wall tires looking bright white can be a challenge. Mark Simpson shares the process he uses when cleaning white wall tires to keep them looking like new on his rides. 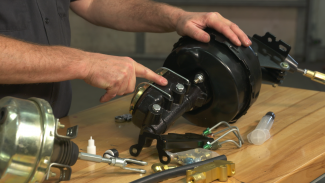 Brent Ackley and George Vondriska do a drum to disc brake conversion upgrade review in this Classic Car video. 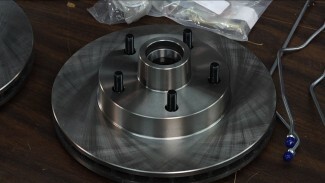 Instead of buying each part one at a time, they recommend using a catalog and then buying a brake conversion kit that is complete with all the parts specific to the car you are working on. 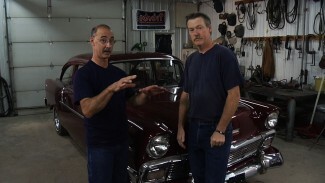 Brent Ackley and George Vondriska give an update on the 1956 Chevrolet 150 in this Classic Car video. Hear about the classic car restoration work that been done already and what is coming up next. 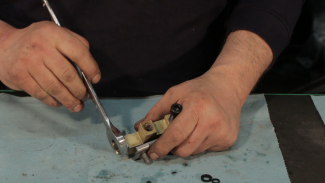 Here’s a quick tip to help you plan out, measure, cut and bend brake lines for your car.